A well-made broth is one of the most versatile ingredients in the kitchen. The French even call broths fonds de la cuisine, the foundations of cooking. Broth can be consumed on its own as a hot beverage with a little bit of seasoning, be used as the base for a soup or lend richness to sauces. 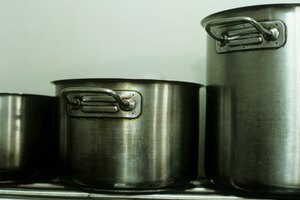 But what exactly is the difference between stock, broth and consommé? Here are the distinctions. 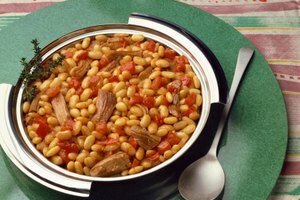 Broth or stock is made by simmering meat or bones, respectively, in water, with aromatic ingredients to enhance the flavor. Onions, carrots, celery, peppercorns, bay leaves, thyme and parsley stems are all common aromatics. Salt is seldom added because it limits the versatility of the broth. 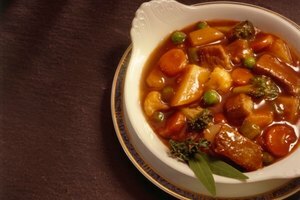 Beef broth is typically made with marrow bones and tough portions such as shank, which add flavor and body. 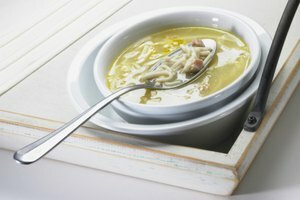 In practice, broth and stock may be used interchangeably. 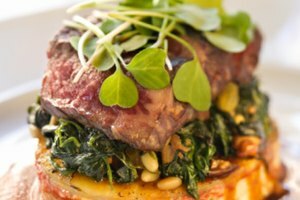 A good stock or broth should have a clear, distinct flavor of beef and a rich taste from the naturally occurring gelatin in the meat and bones. The broth should be largely free of fat or grease, should have few particles floating in it and should not be cloudy. These characteristics are all achieved by simmering the broth at low temperatures rather than boiling. In the late 19th and early 20th centuries, any clear broth was referred to simply as consommé. But some preparations demanded an unusually clear broth that was absolutely crystalline in its purity. This required an extra step in preparation, and the result was referred to as double consommé; what we call consommé today is the same thing. Professional chefs only half-jokingly say that it should be so clear, you could read the date on a dime at the bottom of the pot. So basically, consommé is clarified broth. Use it as a base for sauces and to add flavor to other dishes, or drink it alone to savor the essence of beef. Beef consommé begins with a clear, well-flavored broth that has had all surface fat removed. Finely chopped onions, carrots and celery and minced or ground beef are mixed with beaten egg whites and an acidic ingredient, usually tomatoes. This mixture goes into a tall, narrow pot with the cold beef broth and is slowly brought to a simmer. The egg whites and meat form a gray-white raft on top of the broth, which acts as a filter to strain out impurities. After simmering for an hour, the clarified broth is ladled out.